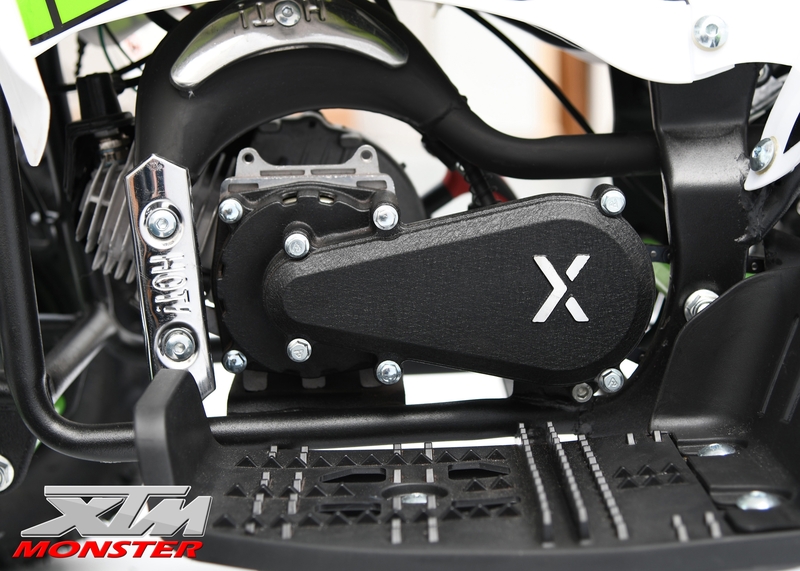 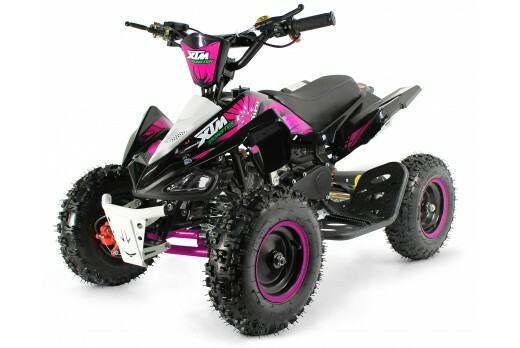 Top of the range, new and exclusive Xtreme 50cc Monster Quad. 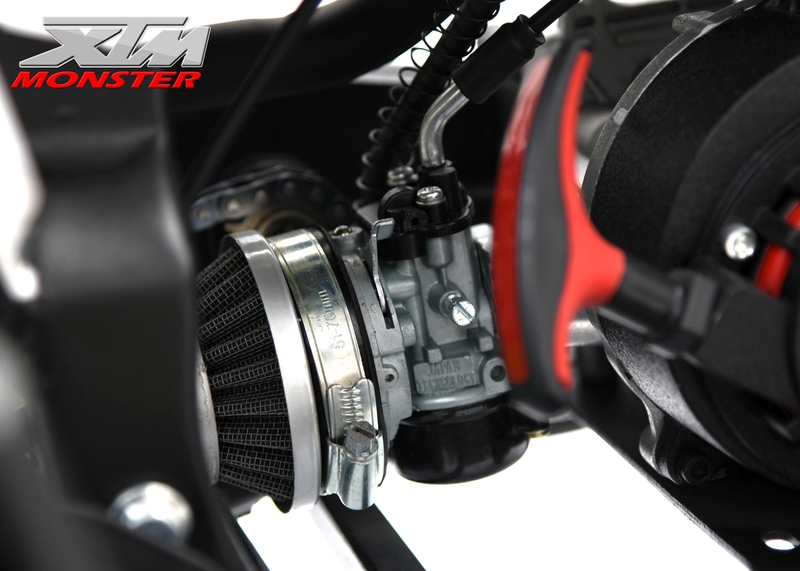 race clutch, colour coded styling and twin exhaust. 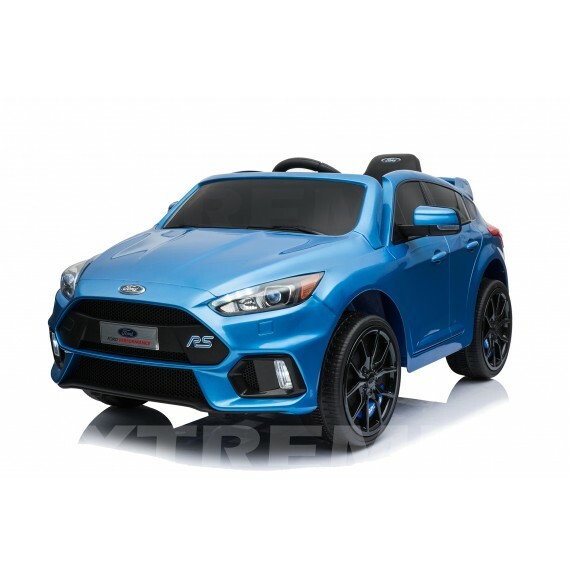 Never too young to learn. 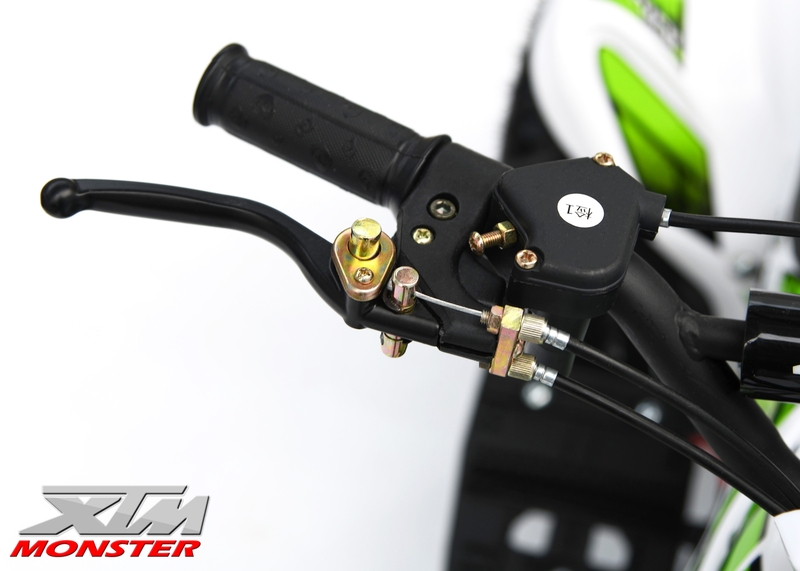 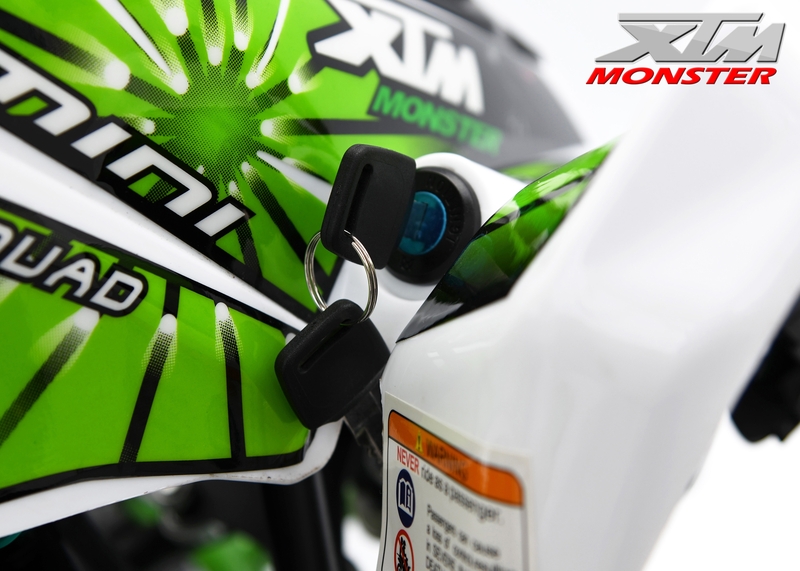 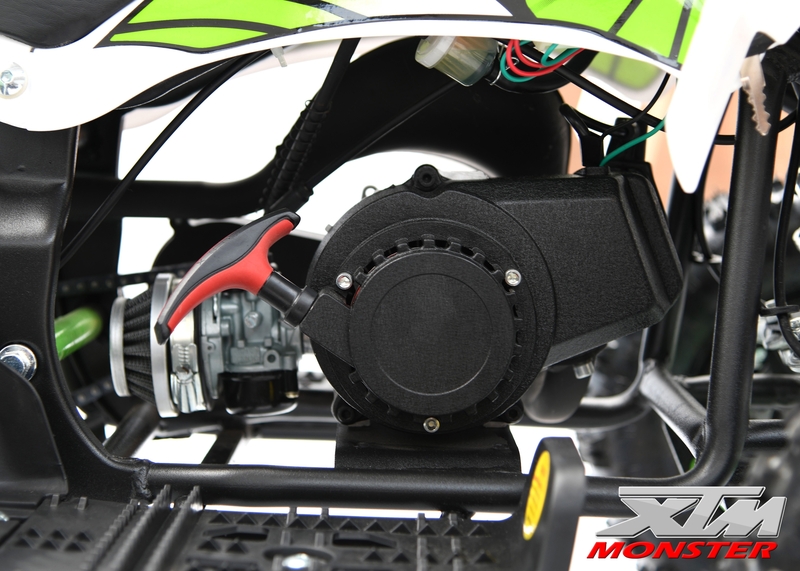 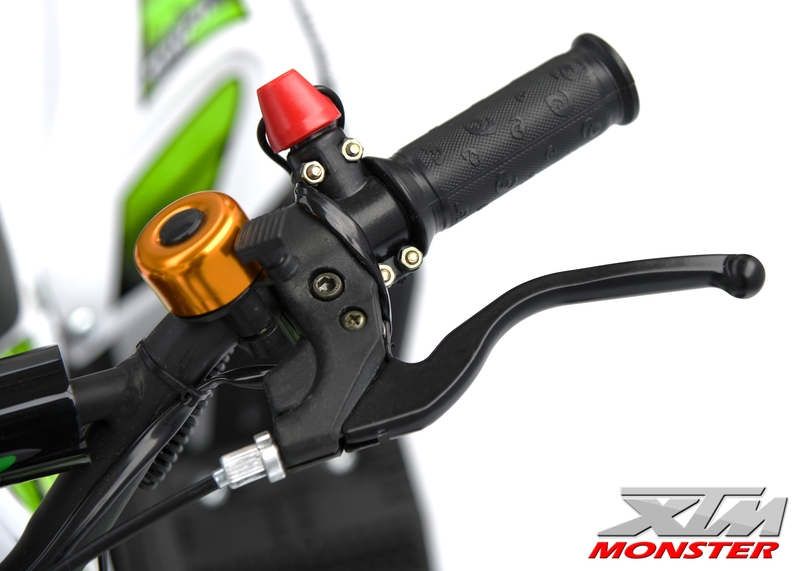 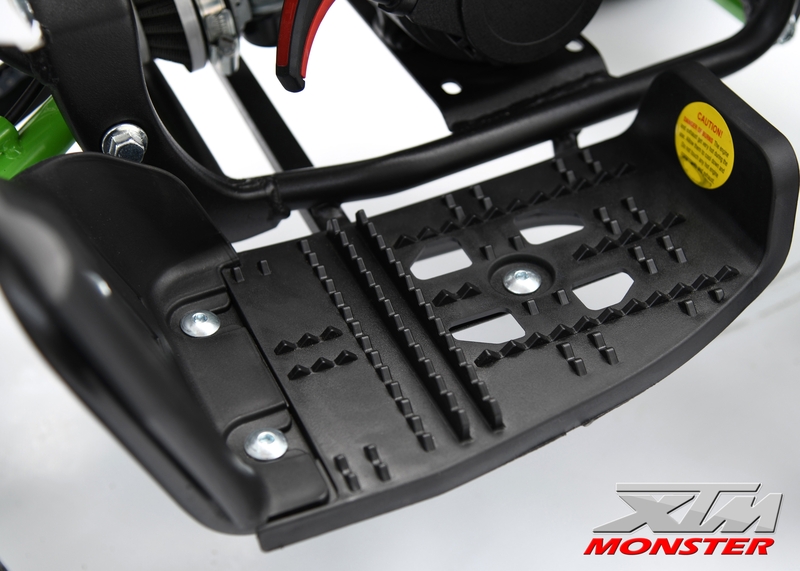 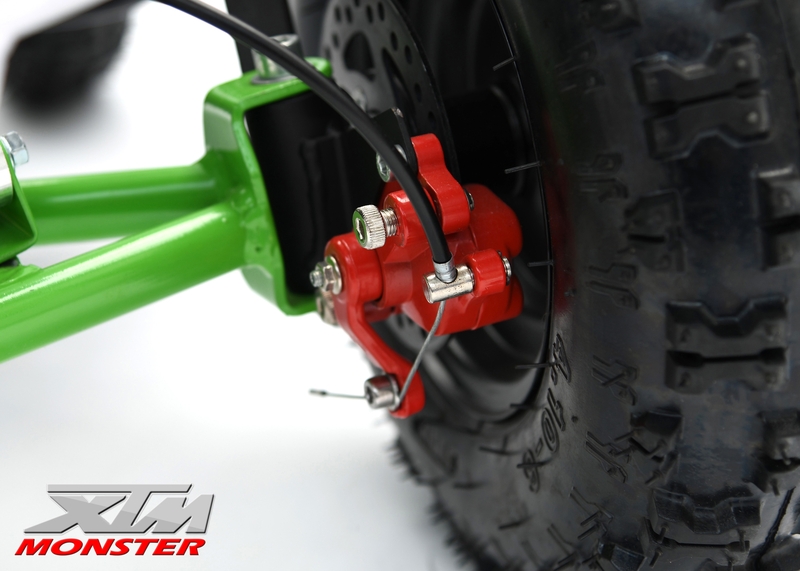 Our new and exclusive 50cc Monster is the perfect starter quad. 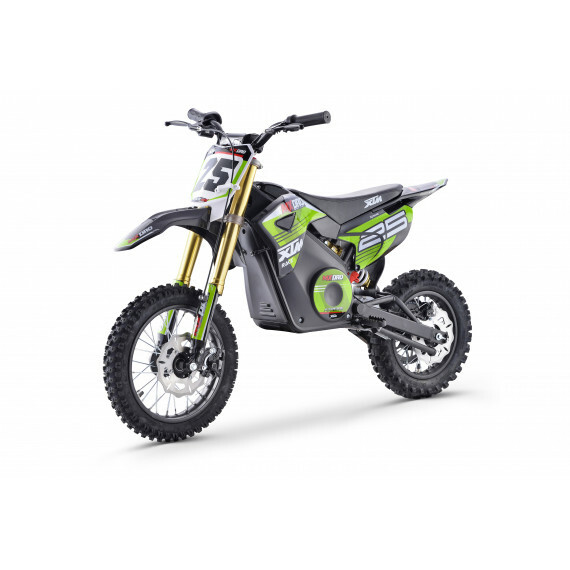 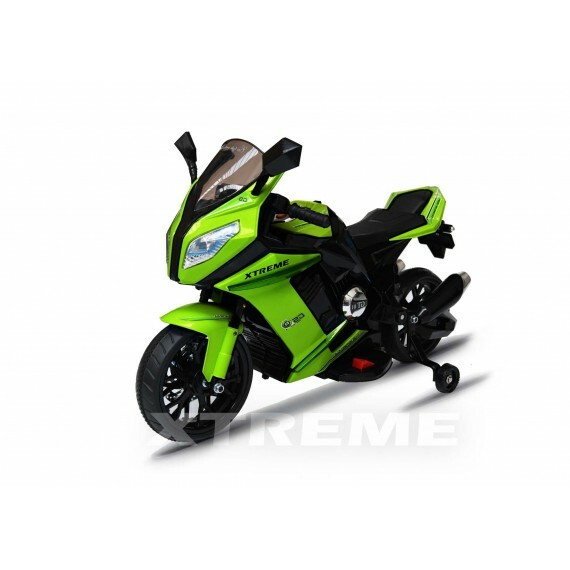 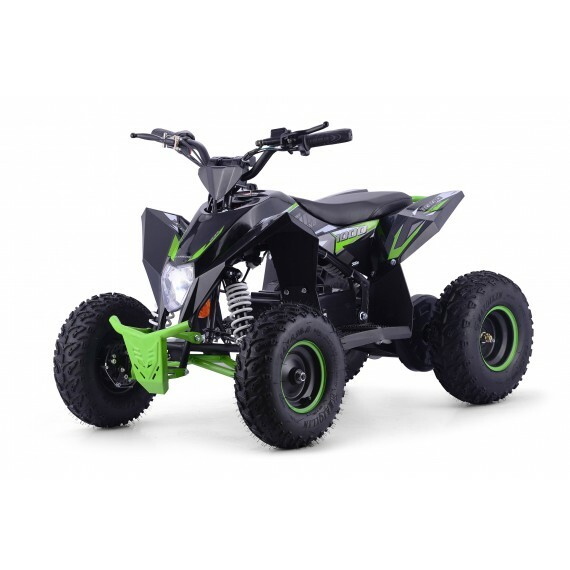 With the youngster in mind, this bike has an engine that delivers fierce but controllable power, incorporating an automatic clutch that is ideal for novice riders. 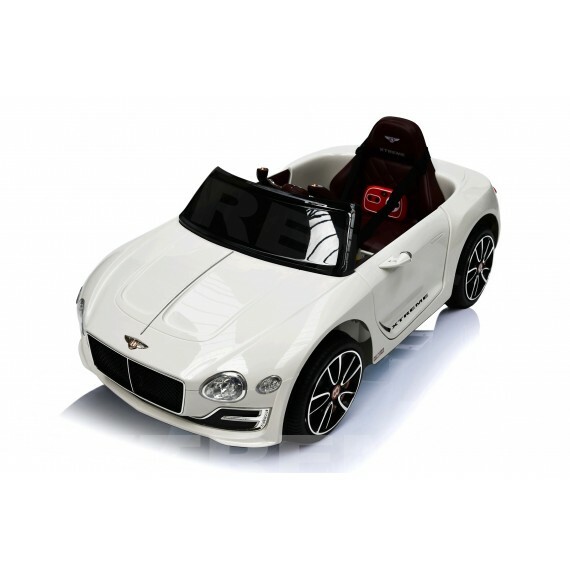 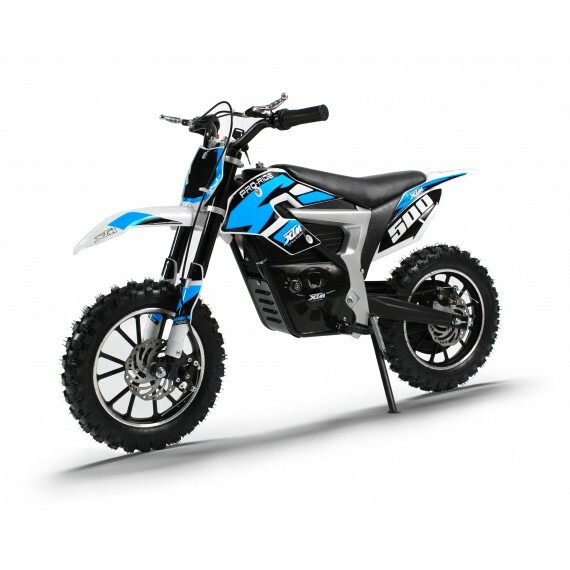 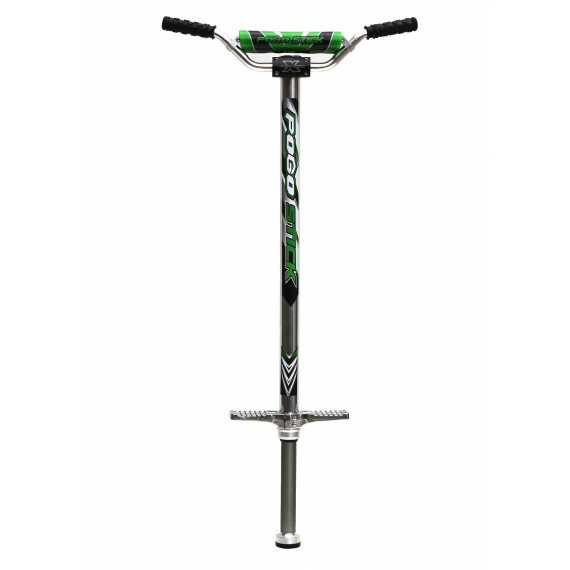 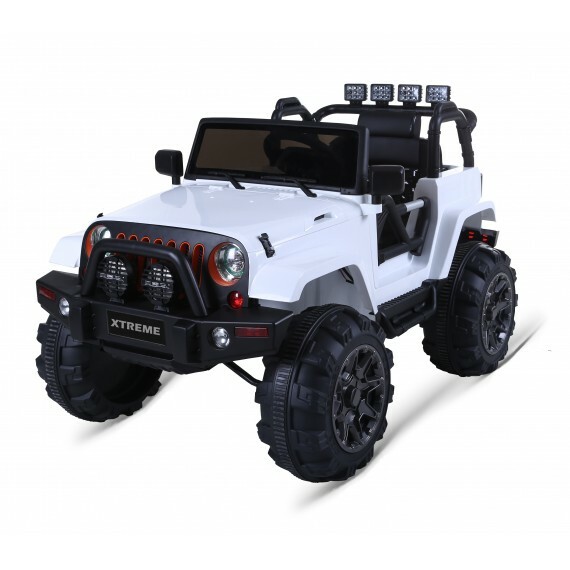 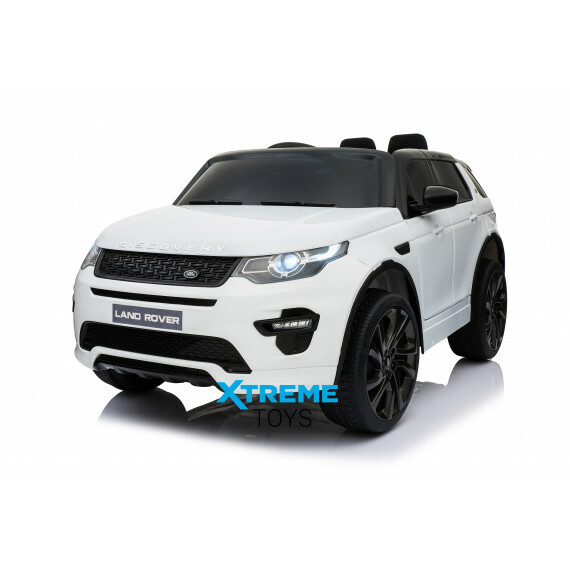 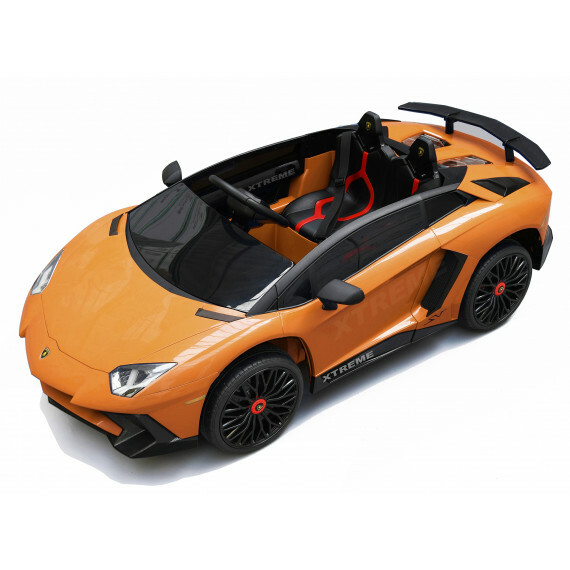 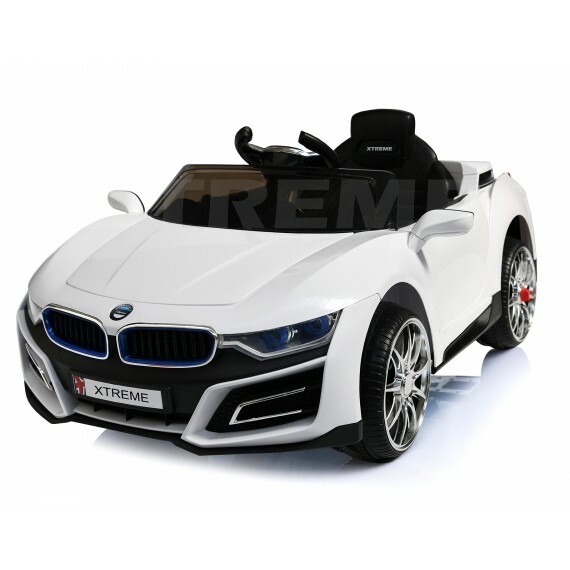 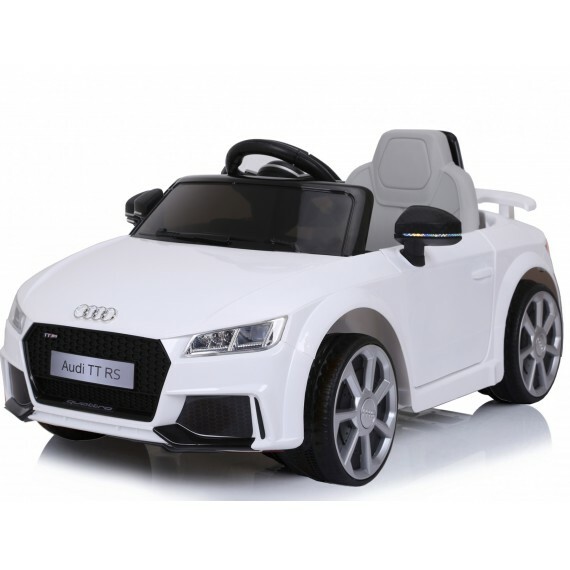 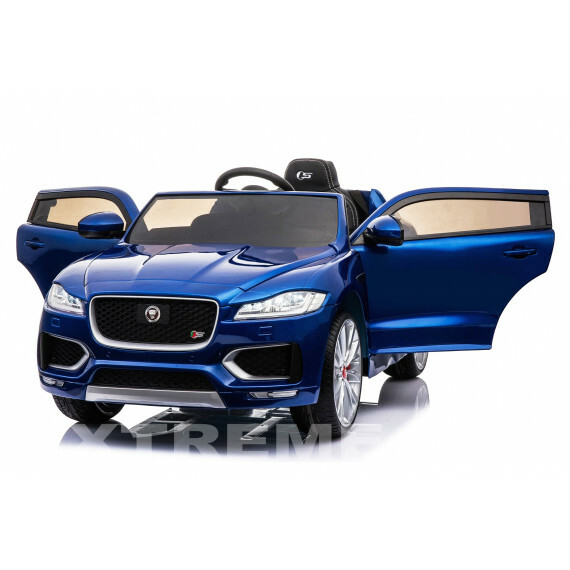 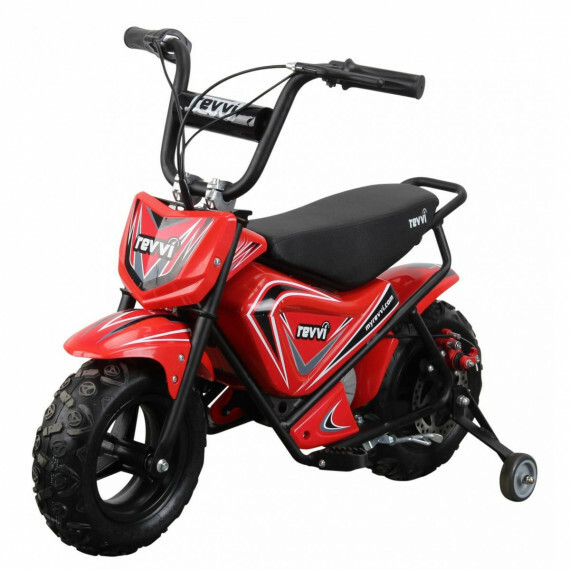 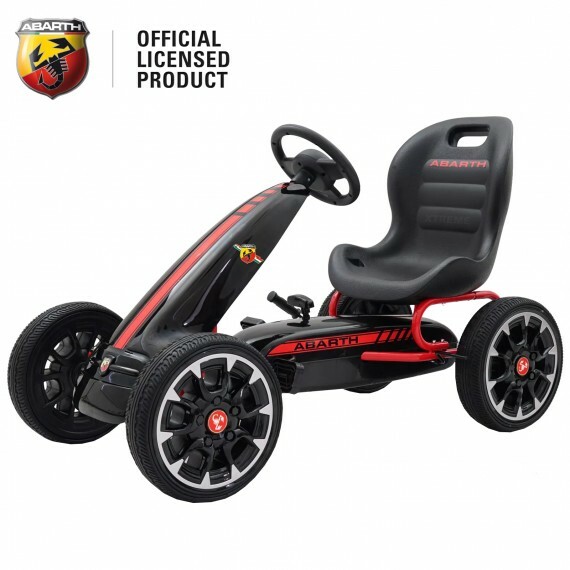 This model is produced with top-quality components including big off-road tyres, wider track front wheels and the ability to make going fast, fun and safe. 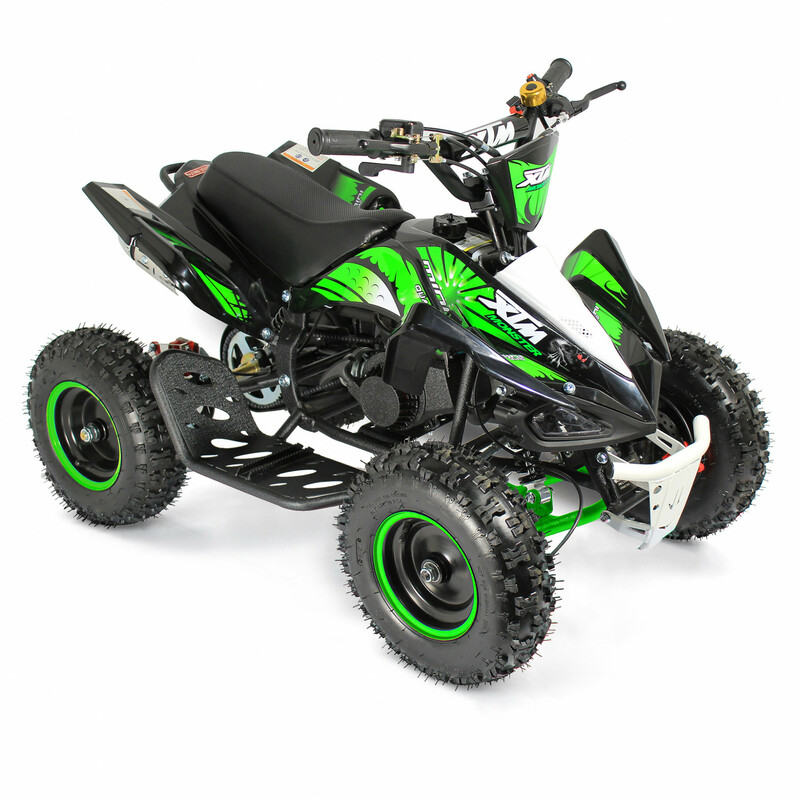 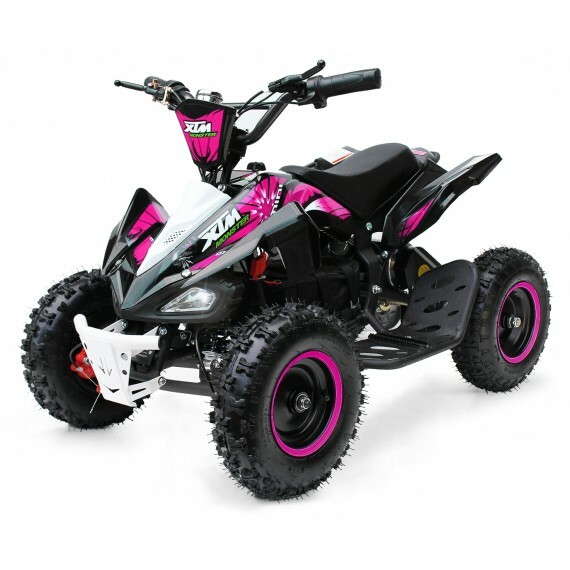 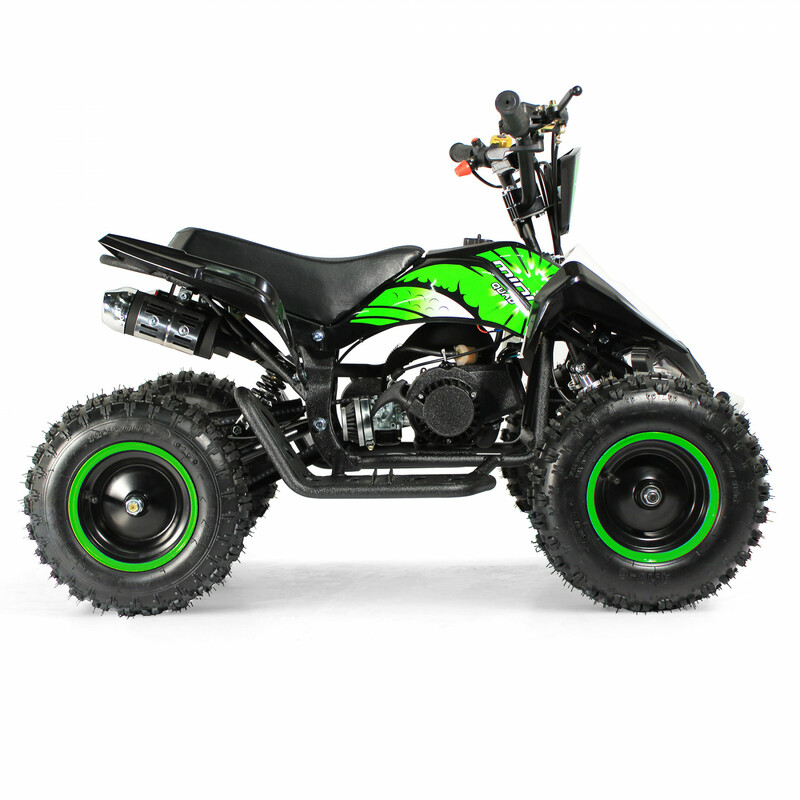 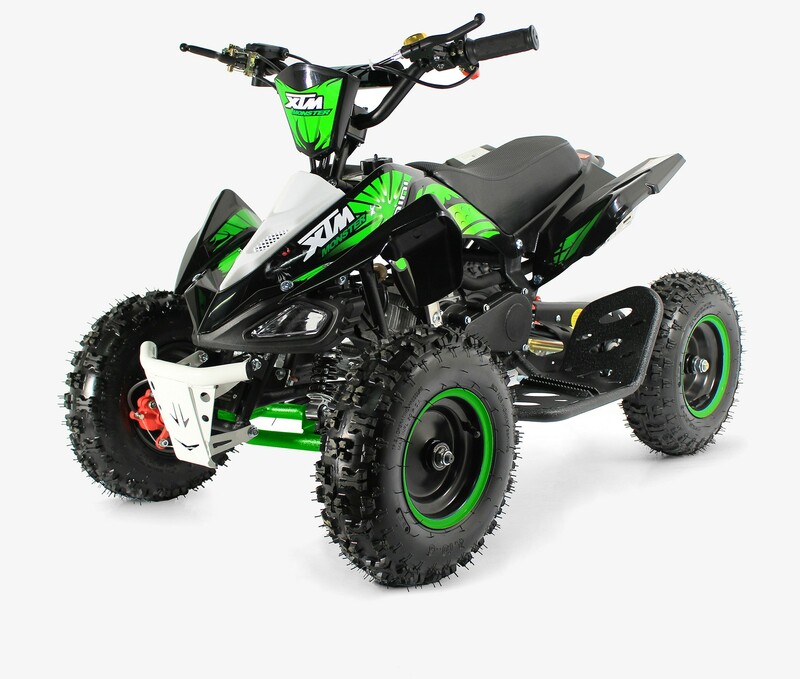 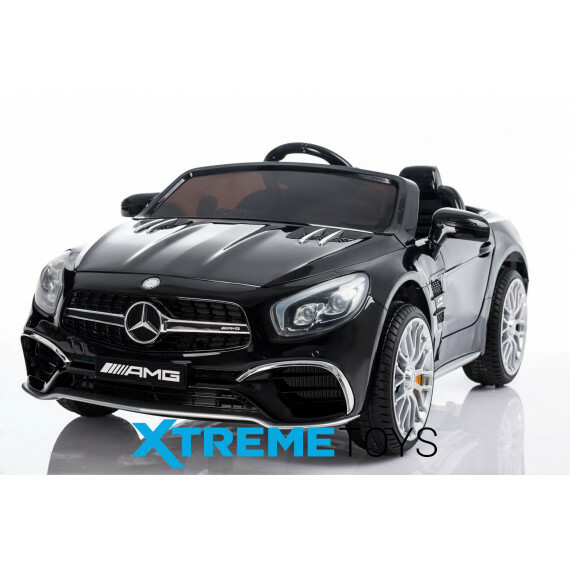 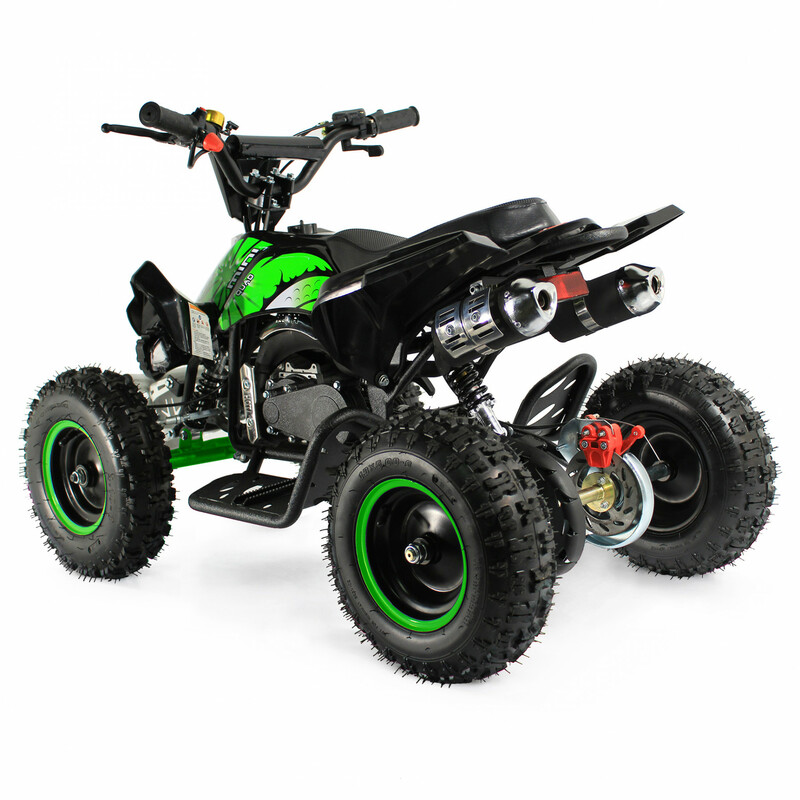 The Xtreme Monster Quad is the Ultimate Boys toy, with its high - Powered 2-stroke Engine, there is no there mini quad that will match this amazing little machine! 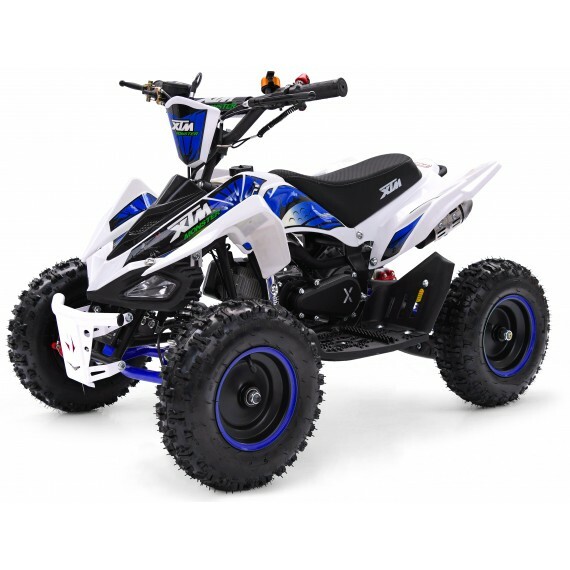 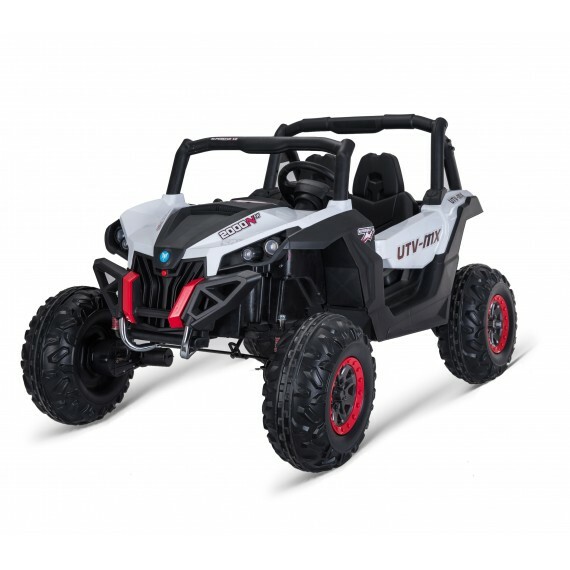 With its Colour coded Wheels and knobbly tyres designed for all off-road terrains, this has got to be the perfect choice when choosing a Mini Quad bike. 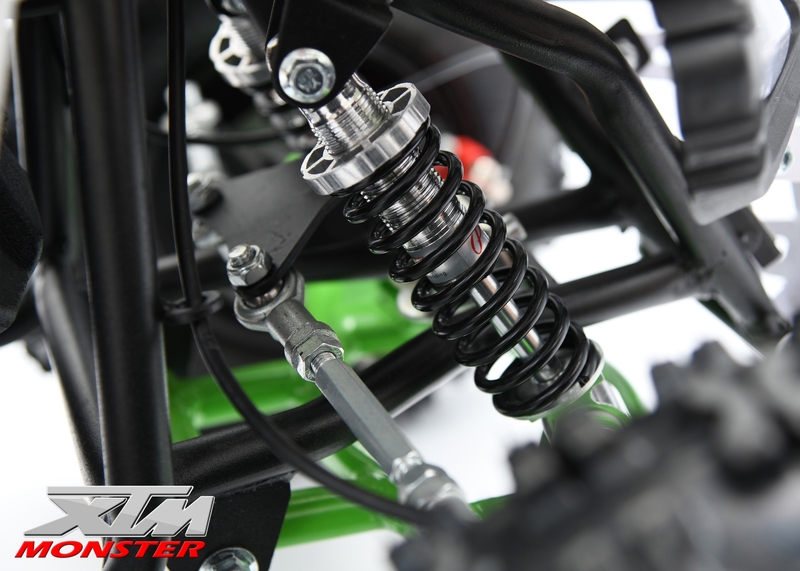 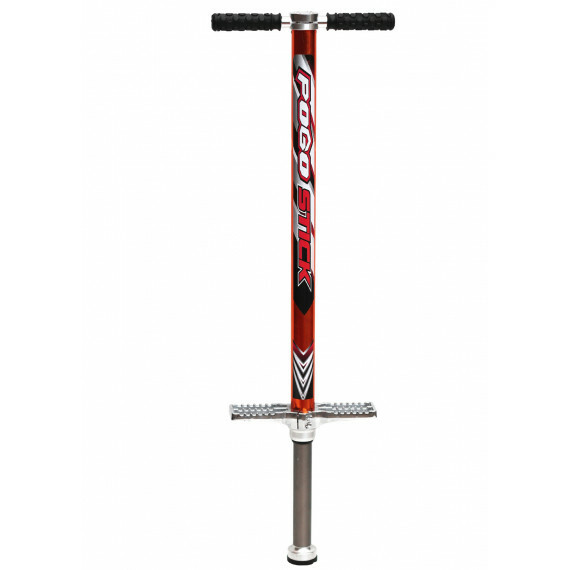 The Monster Quad comes with adjustable handle bars, which can easily be moved into position to suit a wide range of riders. With its twist and go throttle and front and rear disc brakes, the quad has a very responsive acceleration and stopping – distance. 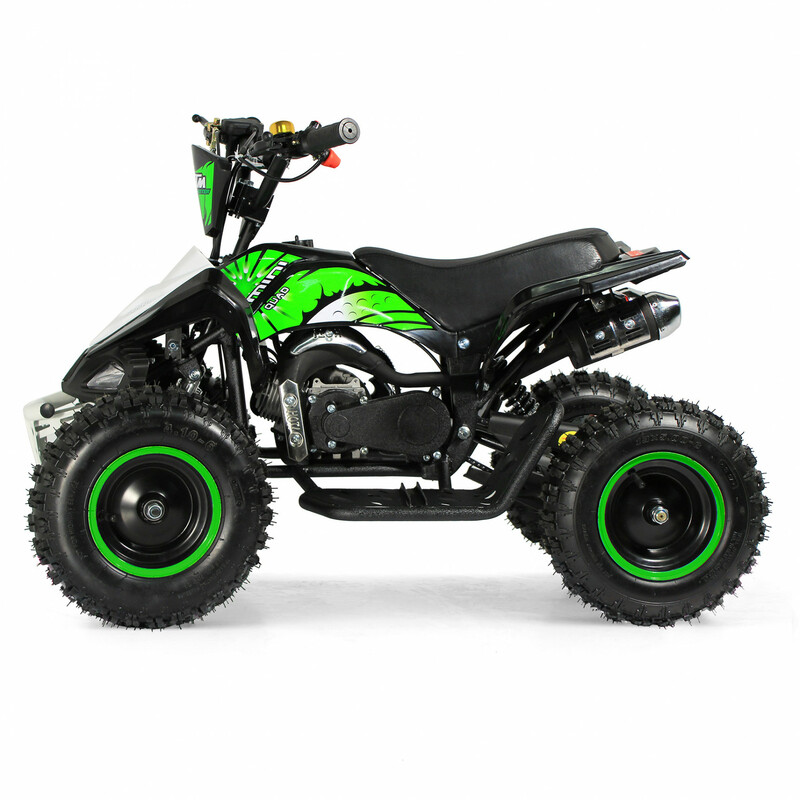 The Xtreme monster quad also comes with All- Terrain wheels and tyres.This is the ultimate off road toy, with a range of 30km per tank, most suitable for all ages with a maximum rider weight of 60kg. 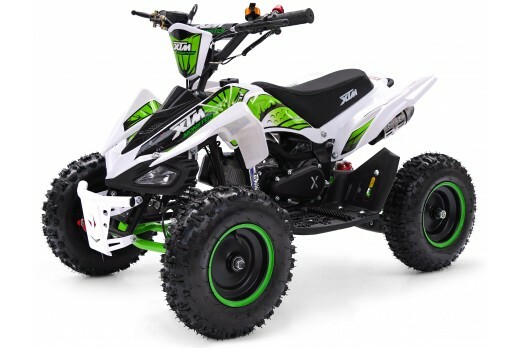 All Quads come with Instructions, mixing bottle and tool kit. 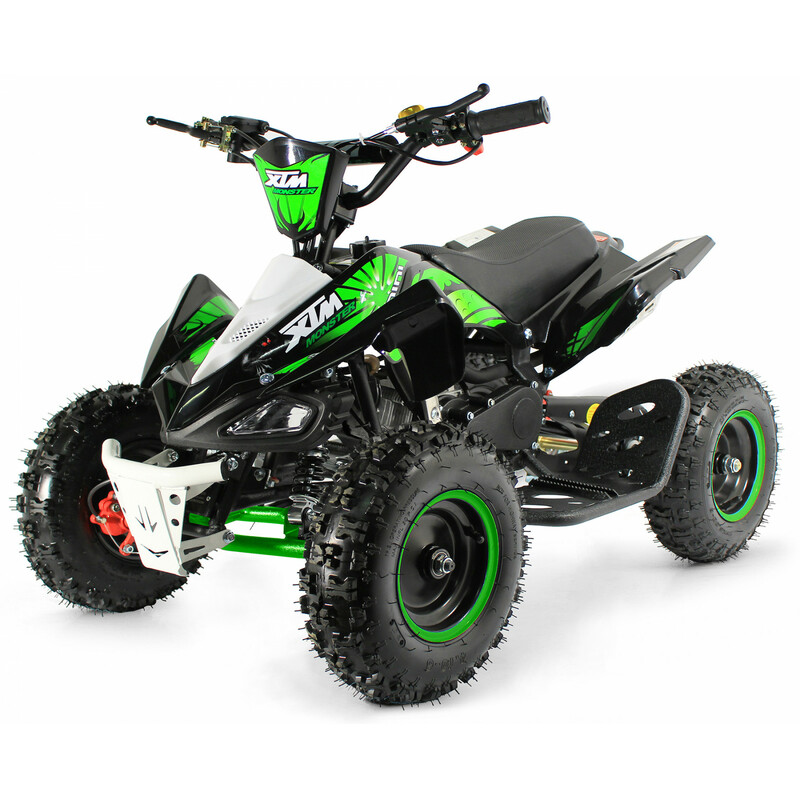 The Xtreme Monster Quad Bike is suitable for gentle off road use only, ie flat grass, tarmac, smooth ground. These bikes should be used for racing or stunt riding, competing and not for riding on the Public Highway.